You are currently browsing the Archaeofacts.com archives of Musings for the day Thursday, September 27th, 2018. I remember (have I already remembered this on these pages???) my dad slicing thick slabs of ready-to-saute puffball steaks. The puffballs were at about this stage. I looked. I thought about the culinary challenge. 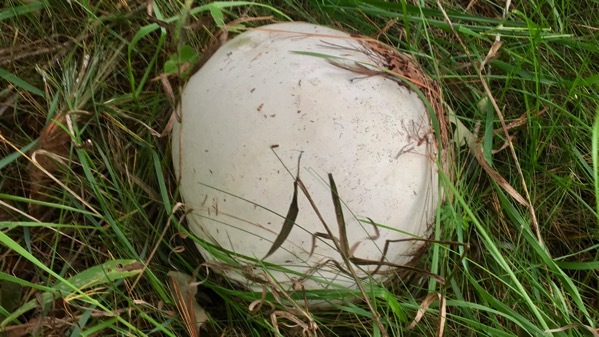 We had leftovers, and the puffball stayed in the wild.